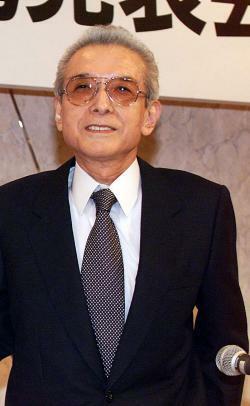 Hiroshi Yamauchi: Nintendo's ground-breaking president dead at 85. The death Thursday of longtime Nintendo president Hiroshi Yamauchi, at age 85, is the rare occasion, like the passing of Steve Jobs, when even those of us who don’t read Fortune should doff our caps to the ruthless business executives of the world. If there was ever anyone who proved that you don’t have to be a creative type to create something wonderful, it was this guy. He wasn’t Gunpei Yokoi, Nintendo’s mad-scientist tinkerer who invented the Ultra Hand and the Game Boy. And he certainly wasn’t Shigeru Miyamoto, the grinning savant who dreamed up Super Mario Bros., Donkey Kong, and The Legend of Zelda, and lives on as the company’s one-man brain trust today. But he was the guy who hired young Miyamoto as an artist, and the guy who noticed that factory denizen Yokoi had, in his spare time, built a robotic arm—a robotic arm that Yamauchi used to get Nintendo into the toy industry. A college dropout way before Kanye West, Yamauchi took over Nintendo in 1949 when his grandfather, who founded the company in 1889, had a stroke. As Steve Kent details in The Ultimate History of Video Games, the 22-year-old agreed to lead Nintendo only under the condition that he be the sole member of the family working there—and sure enough, his cousin was fired. What Kent calls Yamauchi’s “notoriously imperialistic style” of management was evident from the beginning, and it’s a beloved irony to this Nintendo fan that the man behind eternally cheerful figures such as Mario and Kirby—or rather, the man behind the men behind these figures—was an unsmiling, tinted-glasses-wearing hardass; a guy who never once traveled to see the Seattle Mariners play during all the years he owned the team. In today’s era of high CEO turnover, it’s remarkable that Yamauchi was president from just shortly after Japan’s defeated emperor was forced to tell his countrymen that he was not, in fact, a demigod, until after America’s “Second Pearl Harbor,” Sept. 11. It’s probably rare enough that one person heads a family business for 53 years; what’s incredible about Yamauchi is that he transformed the family business from a playing card company to a chief shaper of global entertainment. In 1963 Yamauchi renamed Nintendo Playing Card to just Nintendo, as he looked for opportunities in everything from taxi services to love hotels, and ended up with an enterprise that saved, and reinvented, the video game industry. Whoever ran the United States Playing Card Co. during the 20th century ought to be ashamed that we’re not eagerly anticipating the BicycleBox 4 and Bee U this holiday season. There was one time that Yamauchi’s conservatism failed him. It was in the mid-’90s, when he got into a profit-sharing dispute with another Japanese company over a disc-based update to the wildly popular Super Nintendo and the two firms parted ways. Perhaps you’ve heard of what that other company, Sony, ended up making with its prototype: a little ol’ thing called the PlayStation. So, in this universe we may not be playing the latest iteration of the Nintendo PlayStation, but if you have a real Nintendo system somewhere in your dwelling—which, of course, you do—fire it up, and tilt your controller to the heavens in honor of the cranky man who saw magical worlds through his tinted glasses.